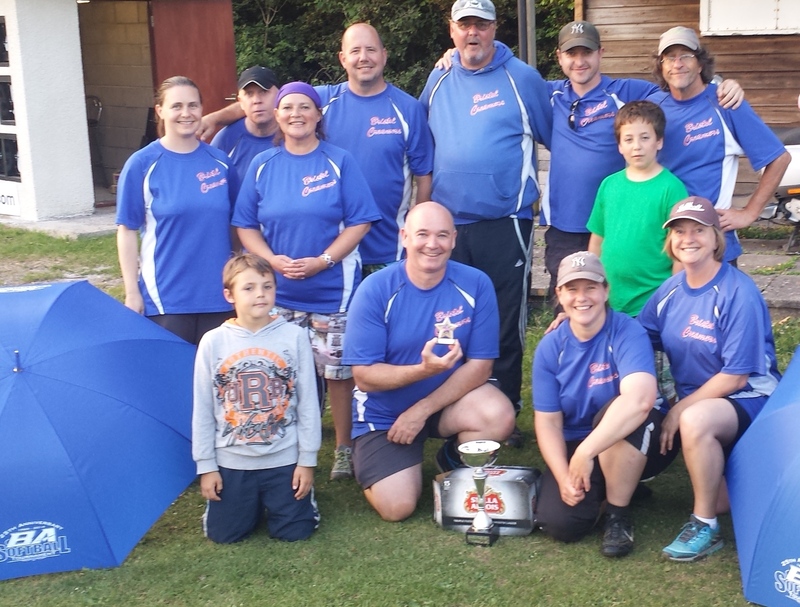 Bristol Creamers win the the C grade Cup title at The BA tournament on June 14/15th . Having dropped their first game on the Sunday against the Wildcats when they only batted in one innings. Creamers came out of the round robin in second spot behind the unbeaten Wildcats. A Paul Mills grand-slam home run in the Semi against Maidenhead then set up a final facing the Wildcats again. Creamers fielding was tight and Wildcats didn’t score again until the seventh innings when they were chasing the game. Creamers kept pushing in the runs to go into the bottom of the seventh with a 15 to 5 lead. From here it was a just a case of doing the basics and Tory Corin took a routine outfield catch to seal the victory. The Creamers missed the event in 2012 but having won in 2010, 11, 13 and again this year ..could have made in 5 in a row!